It’s quickly become an article of faith on the right that Politico’s scoop about Herman Cain’s NRA-era sexual harassment settlements was placed by a rival campaign – an “oppo dump.” By whom? No one knows. The lack of sources or knowledge send us tumbling into Lord of the Flies turf, with amusing theories springing up everywhere. Moving right on, but the point: Conservatives want a scapegoat, or a target, or something untoward about the story. Robert Stacy McCain nicely sums up the pro-Cain, anti-Politico take on the story – why, the thing is chock-a-block with anonymous sources! Without anything more specific – and especially without any comment from the accusers, who reportedly signed confidentiality agreements as part of severance agreements with the restaurant association – such accusations would be impossible to disprove, but can be denied, and this was what Cain was expected to do Monday. The assumption is that… what, the story that protected the identity of the sources, with details that were mostly confirmed by Cain (he’s denying that he sexually harassed anyone, but confirming Politico’s description of the settlements), is flawed? It must have been planted? Quite the contrary – on Monday, a number of conservatives I talked to said, for the first time, that some rumors like this had been kicking around the presidential gossip circuit. The fact that other media outlets didn’t run the story (this is according to Cain’s spokesman, by the way) doesn’t tell us that the story is flawed. Nope: The fact that Cain is confirming the details of settlements tells us that Politico got it right. 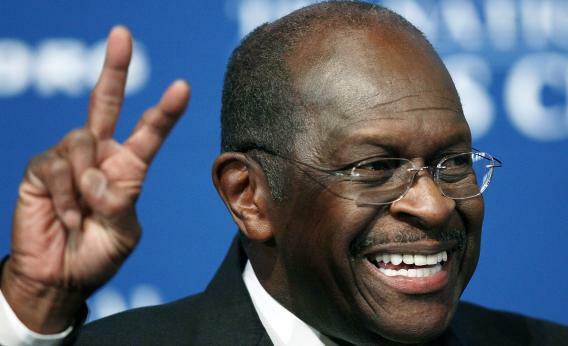 Cain is testing the seams of the GOP base’s media distrust. It might work for him. It’s still baseless.